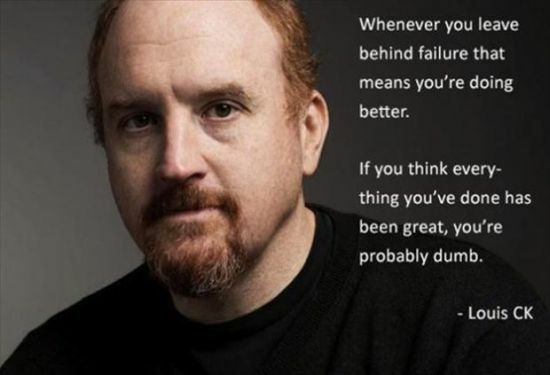 Anytime I can add some Louis CK it is always a good thing. I know it is cliche to talk about what you learned… when did a weakness materialize? However if you are able to take the time and learn from the situation you will grow. Learning is important and great knowledge comes from devastating failure. To be transparent, my greatest failures have always been when my expectations and ability to communicate do not intersect at the right point. Team work is so reliant on those two things coming together at the right time. I have spent countless hours working to be a better communicator and making sure my team is aware of the expectations are clearly communicated within the team. I am not afraid to say that I have left many a “dead body” on the floor and have been taught to look at it and gather information. Others have brought me back to the scene of the “crime” to make sure a failure in the now, becomes a success in the future. 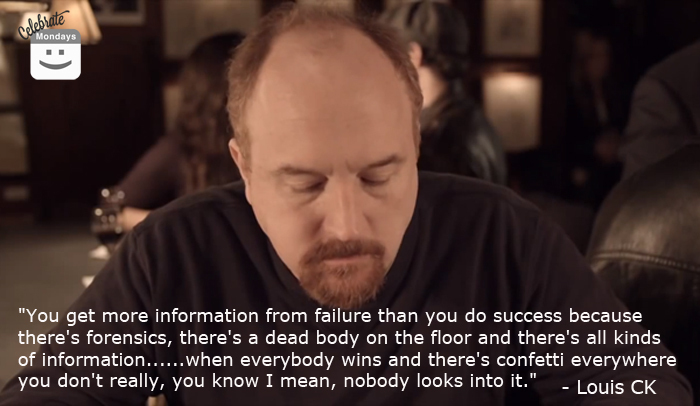 See more life lessons from Loius CK here: http://bit.ly/1gq3UtT caution possible some nsfw language.